Welcome to A-Plan, Farnham, your nearest branch. 18 West Street, Farnham, GU9 7DR mile away. 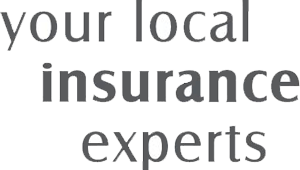 As your local insurance broker, A-Plan Farnham has been serving clients in your area for over 20 years. We have specialist facilities for private car, home & contents and commercial vehicle insurance. We specialise in non-standard or difficult to place home insurance, covering properties which may have previously flooded, suffered subsidence or movement, Thatched or unoccupied properties, clients with previous policies cancelled or with convictions. Farnham have specialist travel insurance for all of the branch network, able to cover extended trips and clients with pre-existing medical conditions. We can also help to place let properties and holiday homes or second homes. We have an affiliation with Farnham Hedgehogs, a local charity established for over 50 years who help local people in need. Your Farnham Branch Manager. Get the right cover at a great price! Put our local team to the test to see how we can help you.